Hurray! 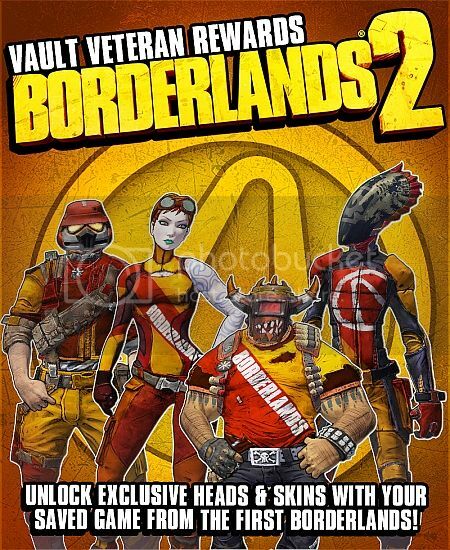 Gearbox has announced that if you have a save game of the Original Borderlands 1 game, exclusive customization content will be unlocked for Borderlands 2 as part of its "Vault Veterans" program. Yes, Borderlands 2 will have customization options for your character and of course a thousand billion guns! Take a look on what you will be unlocking as a "Vault Veteran"